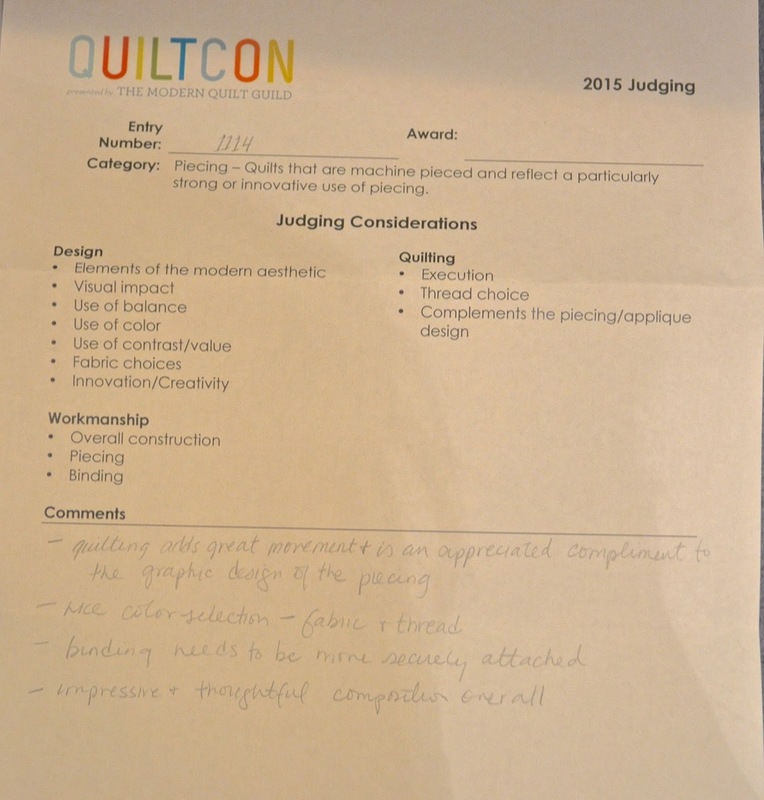 I wanted to share my QuiltCon show comments. There was a lot of discussion of the show comments last time, so it seems right to share the comments I received this time. 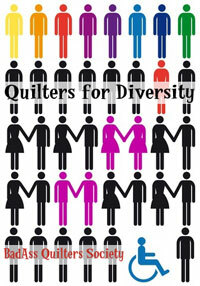 The Modern Quilt Guild, in my view, listened to the concerns and significantly improved the show this time. These are the comments for Peace, which is the quilt in the next photo. I am very pleased that they liked the composition and design as I plan to release this design as a pattern shortly. A couple of things are interesting. 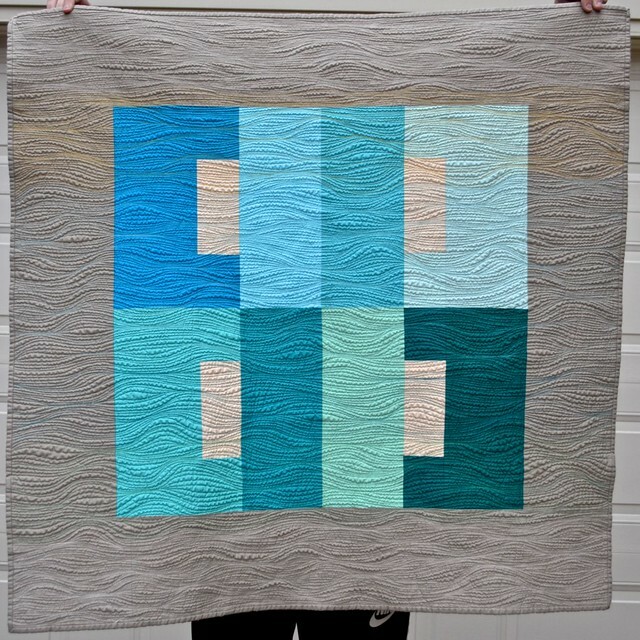 First, the MQG put this quilt in the Piecing category. I think that must have been because it is important to piece well when making a bold geometric design as one small piecing error would really negatively impact the overall impression. And I was surprised at the binding comment, but there is the tiniest bit of play in the stitches of the binding on this quilt so I will take that to heart and restitch the binding - it was done by hand - if I show this quilt again. My thought was if the only a negative thing was about the binding, that's great. These are the comments for Cycles 2, which is one of my most favourite quilts ever and really the quilt that kicked off my continuing series of cycles quilts. The comments are positive, which is lovely. This quilt was placed by the MQG into use of negative space - a great fit I think. There is play in the negative space around the circles and also in the interaction between the thread and colour in the larger border spaces. This quilt won a first place in its category in the American Quilters Association show in Phoenix last February and it was selected to show at the International Quilt Festival in Houston. She did not really stand out at QuiltCon, however, at least to me. 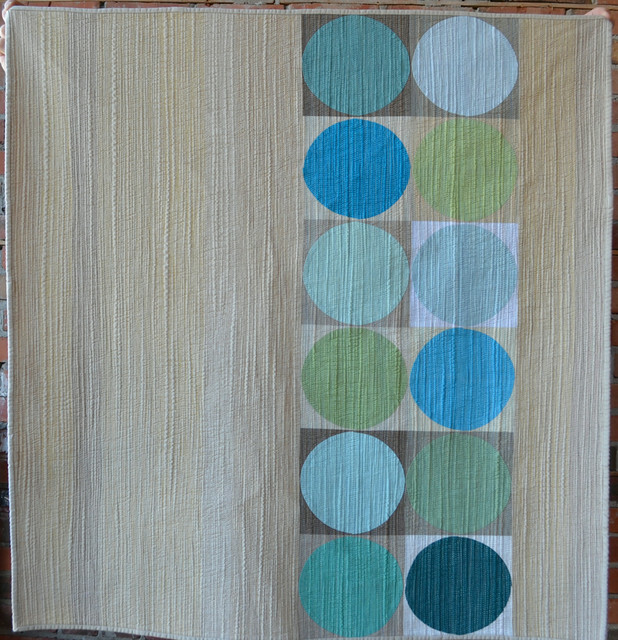 She is a smallish quilt - 37.5" x 39" and the palette is beachy, which is calm and restful. Many of the QuiltCon quilts were larger and brighter. Even Peace, which has basically the same palette appears brighter somehow. Still, one of my most favourite and I was so happy that she was able to be in the QuiltCon show. These are the comments for Breathe. The MQG placed Breathe in the Minimalist Design category and she won first place in the category, so clearly a good fit. 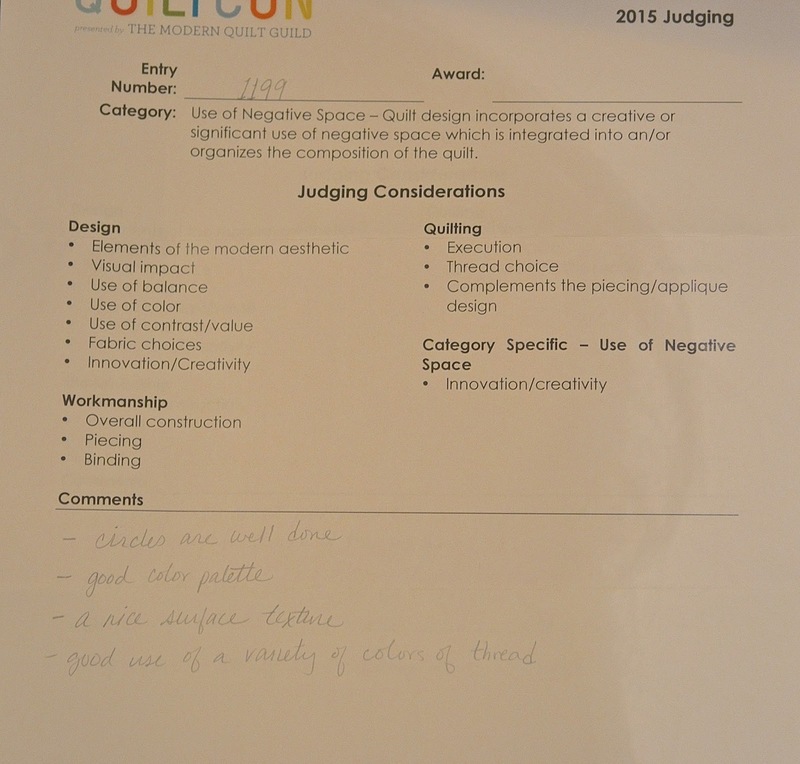 It is clear that these judges were also minimalist in their use of adjectives - a good and pleasing quilt can win. I was truly surprised and so thrilled that Breathe was selected to win a first place in the Minimalist Design category. I made this quilt at a time when I needed a constant reminder to just breathe, and I think that the elements of this quilt capture my intention. She is another quilt in the cycles series, and there are more cycles quilts in my head still. Breathe was selected to be part of the Modern Quilt Guild's travelling exhibit, so she will not be home for a year. Maybe the exhibit will be somewhere where you can see her and say hi for me. 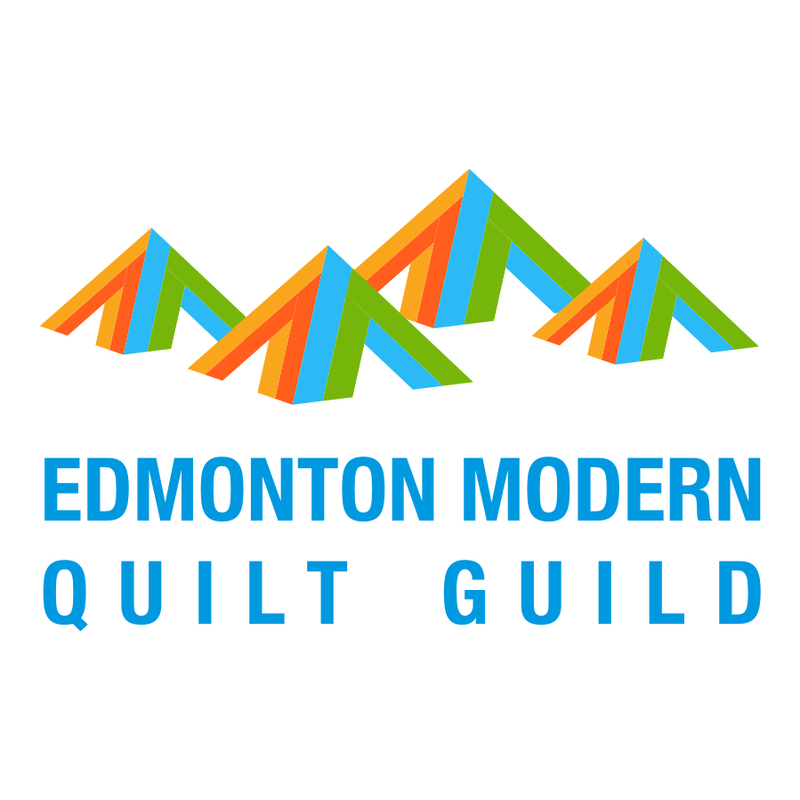 I would like to thank the Modern Quilt Guild, all the volunteers and the show judges for the time and effort that they took to put together a most amazing quilt show. I appreciated the care and attention that was taken with my quilts and with all the quilts, and the show was just so inspiring and beautiful. 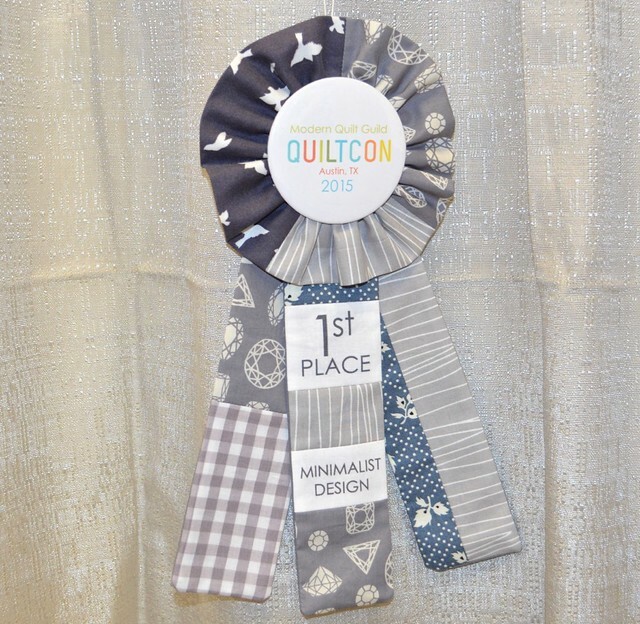 There are many good blog posts about the QuiltCon and I expect there are many I have missed. 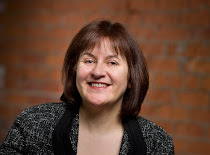 Some insights from one of the judges, Janine Vangool, from UPPERCASE are here. 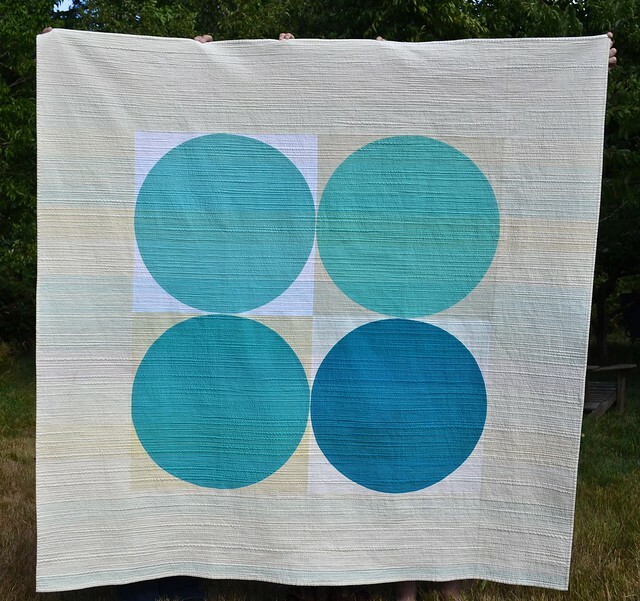 You can see all the winning quilts on the Modern Quilt Guild blog here. I have already reserved a room in Pasadena for QuiltCon 2016, I hope you are planning to go too. I was back on Tuesday from a far too quick trip out of country over the last few days (where I had no access to the internet) which seems to have required a lot of sleeping to recover from. I sure hope that I will be back to sewing tonight. Interesting to read the comments, and congratulations on your awards and ribbons! I love Breathe too! I am, however, amazed that for two of the descriptions for your colour palette, the best words the judge could come up with was 'nice'!!!!! As a teacher, my students are banned from using such a bland and nondescript word. Congratulations on your 1st place ribbon for Breathe ~ Such a stunning quilt, I have really liked this quilt since you first showed us. 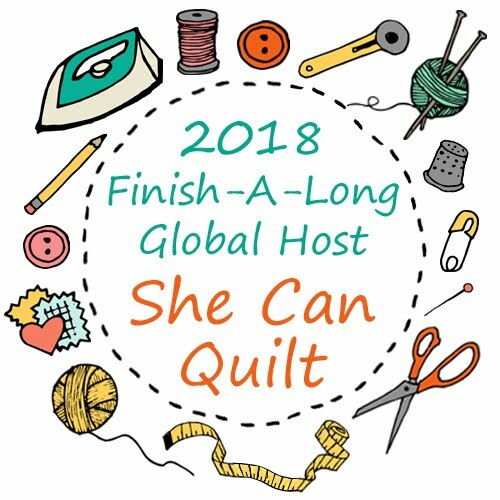 Wish we had a QuiltCon show here in Australia! your quilts all look fantastic, but I too thought that "nice" was a rather bland word to use, maybe they had run out of words??? I received comments on my quilt too, and didn't find them helpful. With no thoughtful criticisms, how can a quilter improve? In fact, it was apparent that the judges read the description first, and then commented because two particular items noted wouldn't have been known unless they'd read the description! I'm happy for you to have won. Congratulations! 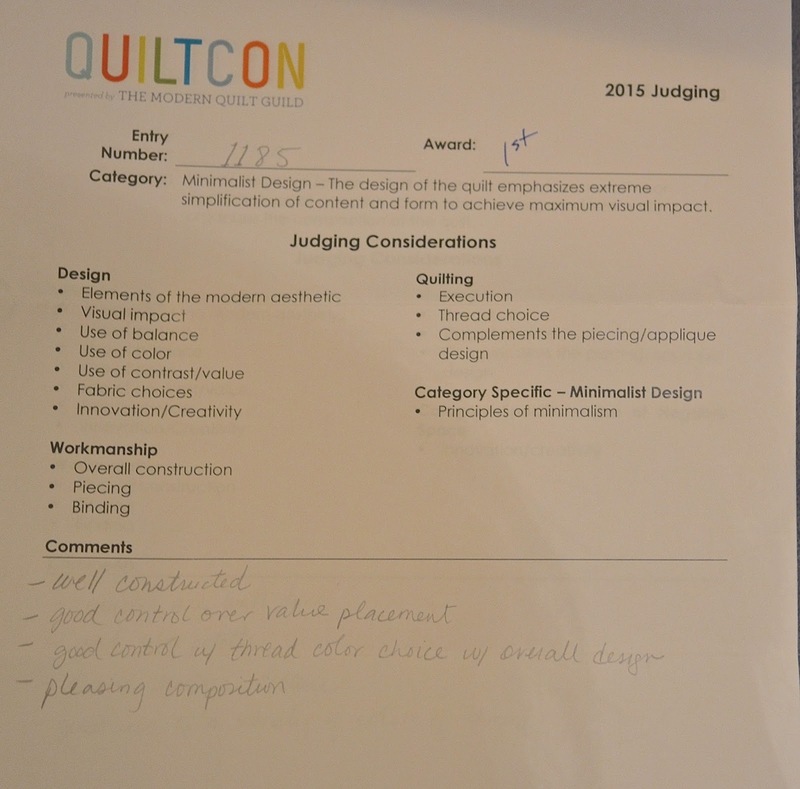 In my opinion, it would have been nice to know what the MQG is looking for in show quilts, as it seems "minimalism" was the theme of QuiltCon 2015. Congratulations Leanne, well deserved for sure. The more I read the more I am just plain thankful for having been part of the process that was QuiltCon 2015. My trip treasures were not the lectures or the swag and stuff that snuck into my suitcase, but the friendships solidified by finally meeting in person some of the quilters I greatly admire. To you and to all that took time out of your busy schedules to say hi to me, share a bite to eat or a glass of wine, thank you. I hope to see you all and then some in California in a year! Leanne - What a great result. Congratulations on your comments and win. What a great outcome for you. No surprise, you're quilts are beautiful. Woot! Congratulations and thanks for sharing these! It's fun to get a better idea of what goes on behind the scenes.